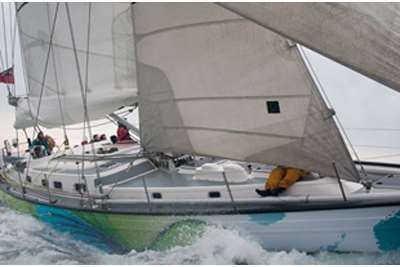 This course is aimed at enabling yachtsmen to refine their forecasts skills and better plan sailing adventures. Whilst the concepts that underlie modern weather forecasting are complex, the ability to access data and interpret it to your benefit is not. Mike takes you through a short history of forecasting, explaining how the digital data we see today is produced, explains the principles of meteorological physics in terms of every day experience, and provides practical opportunities to create forecasts and understand the data available to the yachtsman today. A short history of weather forecasting. How the science and systems we have today were developed and what that means to us. Understanding the relationships between pressure, temperature and moisture and how they combine to create the weather we experience. Explaining global atmospheric weather patterns and how they influence our planning and forecasts. What are synoptic charts and how to interpret them, in particular, the use of synoptic charts to support planning. What are weather models, how to access the data and how to compare different outputs to support your activity. Wind, sea and swell, how they are created and interact to create challenging conditions. Local Effects – how topography can induce significantly different conditions to forecasts and how not be caught out. 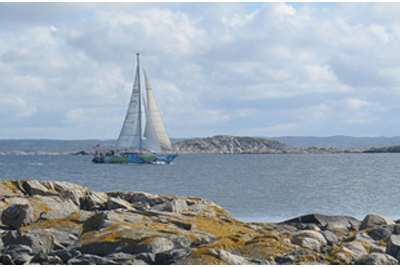 North Atlantic routeing – How to plan an Atlantic passage and sources for data to support the voyage. Tropical weather systems –How they are created and how to manage them. Mediterranean weather – Why the weather in the Mediterranean is so difficult to forecast, can be so dangerous and how best to prepare for Mediterranean forecasting. Mike served in the Royal Navy as a Hydrographic Surveyor, Meteorological and Oceanographic specialist for 23 years; and holds a Post Graduate Diploma in Applied Meteorology and Oceanography and is accredited by the World Meteorological Organisation. He supported operations deployed worldwide and in the UK. As an amphibious specialist, he has a unique insight into the vagaries of local effects and forecasting for small craft. Since leaving the RN Mike has worked as a Yachting and Diving Instructor in the UK and Caribbean.